Water damage can ruin the structural integrity of your home and make it weak. So, don’t wait for a minor waterproofing problem to become a major issue for your home. Call the expert waterproofing company, Pour Concrete, to ensure stress-free waterproofing of your basement. If your basement is moist and you are looking for a quick solution without any excavation, our waterproofing experts will help you. Want to stop basement flooding once and for all? Pour Concrete’s exterior basement waterproofing service ensures that your home remains water-free for a very long time. Taking care of sump pump, window well, drainage system or cracks, Pour Concrete ensures minimal disruption to your business with its cheap commercial waterproofing service. Pour Concrete is a licensed general contractor of Greater Toronto Area. 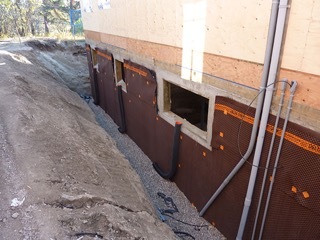 We do not under-deliver or cut corners while waterproofing your basement. We offer honest services and finish the job quickly and efficiently. Call us on 647-368-6206 or inquire online for quick, budget-friendly and long-lasting basement waterproofing services. How to choose the Right Wet Basement Waterproofing Method? Wet basement can be a trouble for home owners. There are many waterproofing methods that can take care of water seepage. But, remember one size doesn’t fit all. Only a basement waterproofing company can solve your dilemma and help you choose the right method for your home. Are you shying away from waterproofing your home? Do not worry. Know what factors are considered by the waterproofing contractor to provide you with a detailed estimate. It will help you to create a reasonable budget for the project.